Cosmetic dermatology is a part of dermatology that gives emphasis to looking good. While cutaneous medications and surgical procedures emphasize on the diagnosis, treatment, and prevention of skin disease, there is a noteworthy aspect of the forte directed in the direction of enhancing the patient’s look. Dr. Kenneth M Reed is a specialized dermatologist who specializes in providing invasive, cosmetic, and medical dermatology services to the patients. DermASAP, founded by Dr. Kenneth Reed, offers patients with solutions to the skin care problems with high quality dermatological services. CoolSculpting noninvasive fat reduction: It is a unique way to shape the body by freezing undesirable fat away with no surgical procedure. It is a FDA approved non-surgical fat-reduction treatment that utilizes controlled cooling procedure to eliminate fat. 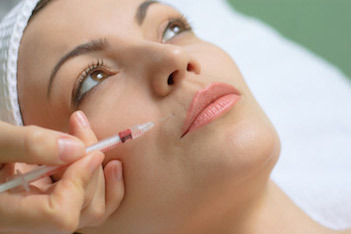 Botox and Dysport: These are injectable procedures that work to prevent creases in the skin. They help in eliminating frown lines and wrinkles by paralyzing the muscles temporarily. Dermal fillers: They are injected or placed into the dermis to restore volume and definition of the face. These are economical, hypoallergenic, safe, painless to inject, and long lasting. Nonablative skin resurfacing: It is a procedure in which fractional lasers distribute heat into the skin to treat facial wrinkles. It hardly takes an hour to complete the therapy and the recovery time is quite less. ProFractional: This therapy is used for enhancing skin tone, acne scars, and discoloration. Light-based and laser facial treatments and resurfacing: Fine lines, blemishes wrinkles, and pigmentation, such as blotches and sunspots are reduced by this technique. Apart from these BBL photo rejuvenation, BBL and laser hair removal, Facials, Vein treatments, Tattoo removal, MicroLaser Peel and SkinTyte are some of the other cosmetic procedures that are practiced by Dr. Kenneth M Reed. Skin cancer screening treatment, Mohs surgery: This surgical procedure is used for treating skin cancer in which the thin layers of cancer containing skin is eliminated. Acne: Acne surgery helps in cleansing the skin by taking out blackheads and whiteheads and by cleaning clogged pores to manage acne. Skin disorders and rashes: Various infectious rashes as well as noninfectious rashes are treated at DermASAP. Pediatric dermatology: Starting from genetic skin disorders to infectious as well as noninfectious skin conditions of the children are treated by using the latest techniques. Psoriasis and eczema: Serious skin conditions such as psoriasis and eczema are also treated at DermASAP by the well-known dermatologists. However, when it comes to cosmetic dermatology procedures, one should ensure that the certified dermatologist or a skin care clinic is chosen as otherwise one may suffer from side effects like glaucoma, skin rash, dizziness, muscle spasm, numbness, headache, dryness of the mouth, bruising etc. Therefore, it is always better to approach the right dermatologist or a skin care clinic in order to get instant face lift!